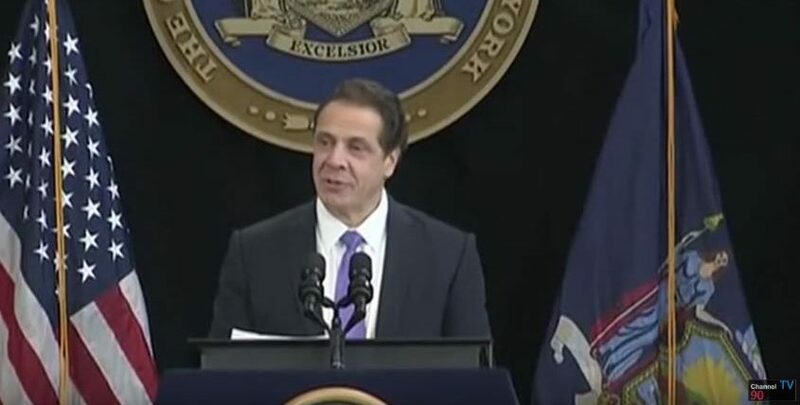 NY Gov Cuomo signed a bill Tuesday that shows just how evil the man (and his liberal Democrat buddies) have become: you can kill babies in the womb all the way up to a day before they are due to be born. Non-doctors can perform the abortion as well. It’s the New York “Reproductive Health Act” and it’s meant to codify abortion just in case the SCOTUS should reverse Roe v Wade. Catholics all over the country called on Cardinal Timothy Dolan to excommunicate Cuomo from the church, but he has not done so at this time. The new law is infanticide of the worst kind..the kind that tortures and murders babies, sacrificing them to the god of selfishness in the name of “progressives.” The previous law allowed third trimester abortions after 24 weeks only IF the woman’s life was at risk. Gov Cuomo has made it clear that pro-lifers aren’t welcome in New York, and neither are conservatives of any ilk. If you are pro-life, pro-gun, or any other stance that goes against the “progressive” (which is really regressive) stand, he doesn’t want you there. And the new “Reproductive Health Act” is another cog in his political killing machine. Abortion wasn’t legal when I was born, but if it had been, someone might have tried to pressured my mother into it. She had 8 still-births before me, and docs were convinced I either was already dead or wouldn’t make it to adulthood. Mom knew I was alive. She stood firm against those who didn’t believe her. And here I am. They said I wouldn’t live to adulthood. They said a lot of things, but I’m still here, thanks to a Mother who loved me before I was even born. Would that we could help mothers love their babies that way now.